This advanced graphing calculator is packed with more features than you might know how to use. 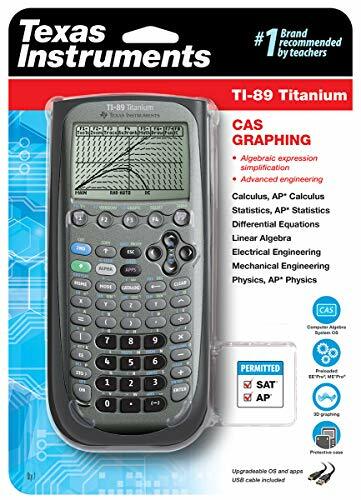 The TI-89 Titanium lets you perform the expected functions of an advanced model--basic math, algebra, calculus, graphs, matrices, and statistical functions--and do cool stuff like creating animations, graphing 3-D rotations, and plotting contours. Graphing functions include basic function graphing, parametric graphing, polar graphing, sequence graphing, 3-D graphing, and differential-equation graphing. Additionally, the TI-89 Titanium includes symbolic manipulation, constants and measurement units, statistics and data plots, a numeric solver, a text editor, programming capabilities, tables, a split-screen function, variable management, and the ability to link to other calculators or a computer. The TI-89 Titanium's flash technology allows you to upgrade to future software versions without having to continually invest in new calculators. The 188 KB of RAM, combined with an impressive 2.7 MB of flash memory (three times the memory of the TI-89), are more than sufficient for your stored functions, programs, and data, and add welcome speed to go with the TI's reliability. You can create custom menus or use the default menu. Another cool feature is the Program Editor, which gives you the ability to write custom applications. The large LCD is adjustable to your environment and can be viewed clearly under a variety of lighting conditions. The calculator also comes with an input/output port and cable, letting you synch up with other TI-89s or TI-92s, as well as a USB port and cable. An attached, hard slide cover protects the calculator from getting knocked around in your backpack. The manual that ships with the TI-89 Titanium is a killer, presenting over 500 pages of clear, concise definitions, function explanations, examples, drawings, and appendices. It's divided into well-organized chapters that cover all the major features of the calculator. The extra $$ is worth it. I have used many calculators in the past, but the TI-89 Titanium is the best ever. The words are not hard to read at all, as some would believe, and the symbolic manipulations are just like magic. As a student who is stepping into Algebra 2, and preparing to finish up AP Calculus BC, Calculus III, Differential Equations, Linear Algebra, and AP statistics, everyone else who has been in my situation has bought a TI-89, or a similar calculator with CAS. This calculator is well worth the $20 more than the TI-84 Plus Silver Edition, since interchangeble faceplates don't really appeal to me, and I really need some symbolic manipulation features to help me during Algebra II and all the other courses. the calc is a good one. you should get it. it will help you in futhering your mathmatic skills. World of Warcraft is a good game. If you like Quake 3, you can get it for this calc. The reviews that said those words are hard to read are wrong. Yeah, sure I think the 2nd keys are hard to read in low light, but the others are pretty easy to read. I bought mine for games. I bought the TI-83 PLUS during my high school freshmen year. I bought it because we needed for Geometry. As a sophmore, I found this calculator to be a very useful tool as I continue to use it! I use it for algebra II AND chemistry -- plus, like they said, it's upgradable. Of course, I don't know ALL the functions of this calculator, but it's very useful nevertheless. It has a great keypad, a ton of functions, and it's easy to change modes. The TI-83 PLUS is incomparable to an ordinary scientific calculator -- it is SO much more! I think the TI-83 PLUS is the best buy, since it's upgradable and all. It's better than the the regular TI-83 and a better buy (since it's only a few bucks more). Even the overall look of it is different -- The TI-83 PLUS is pretty slim, in my opinion and its screen is better than the TI-83 screen. Overall, this is one of the best graphing calculators out there! 4. Texas Instruments is constantly adding to the number of applications you can get, some for free, some for purchase. My favorites include: Poly Solver, Probability Simulation (you can draw from a deck of cards or roll dice). Also Detached Solutions has several applications such as symbolic math (in its first stages). 5. Finance, Time-value-of-money, days-between-dates, and interest conversion given to you from the get-go. 6. Solver, solve for any variable. 7. Matrices, for linear programming. Texas Instruments produces some of the most popular and well known graphing calculators in the industry. The TI-83 plus can do most any math problem found in Algebra I, Geometry, and even some Algebra II/Trigonometry. The wide screen allows for graphing equations and multi-line functions. The graphing capabilities of the TI-83+ are a superb choice for Algebra I classes. The ability to automatically find intersections and a variety of other important components of a graph are only key presses away. The calculator has a powerful matrix editor allowing for easy multiplication, addition, and subtraction of matrices. Division of matrices is not possible. The list editor allows for statistical analysis of data both numerically and graphically. Graphically, the 83+ can plot data in several different formats. Anyone who is familiar with the BASIC computer language can program the TI-83+ with ease. The calculator supports the use of almost every function through a program. Programs can be typed directly into the calculator, or on a computer. The TI-83+ also supports a special form of programs called Flash Applications. Flash Applications are generally quite complex, and are written in a special language on the computer. The manual included with the calculator is superb. It goes into detail on every single option the calculator supports. Every section includes a Quick Start tutorial that provides an practical example covering many of the chapter's topics. Learning to program in TI-BASIC, the programming language of the calculator is possible through reading the entire manual and following the examples. 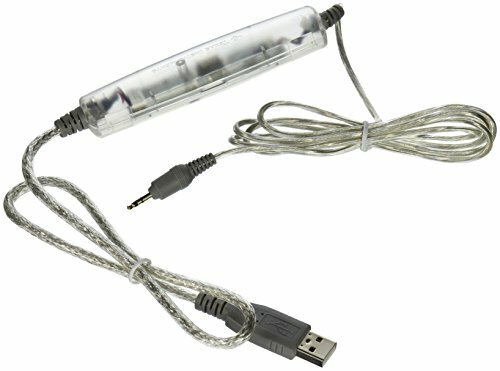 The TI Graph Link cable is the interface between a computer (PC or Mac) and any TI Calculator with a link port. It comes in several variations depending on what kind of computer it will be hooked to. The cable is not included with the calculator, but can be purchased as an option. The TI-83+ Silver Edition includes a Black Link cable for Windows PCs. When the TI-83+ is outgrown, upgrading the TI-89 will require little work for anyone who has gained experience with TI's entry level graphing calculator. The TI-89 has the capability to do Calculus and 3-Dimensional graphs primarily. Overall, the 83+ is an excellent choice for anyone taking an Algebra course or any math class above that. The calculator does basic arithmetic, graphic, statistics, matrices, and a variety of other mathematical operations. I've had my silver edition for three years now. I took it with through highschool and now into college. The TI series in general is a very durable class of calculators, but I have never seen anything withstand my backpack for more than a semester, so this one takes the cake. It has the most versatile and self-explanatory features of any other calculator I use. In addition to the extra bonus features (like the periodic and help programs) being able to personalize my calculator makes it a little more me, and less of an obligatory tool. Having only used a TI-82 before getting this, I was pretty much out of the loop on Texas Instrument calculating. I got it in order to help me in my Calculus class in college. Specifically, I figured it would be a good tool for checking whether my answers were right and to graph fancy functions. After getting it, I was instantly impressed. The icon-based desktop makes navigating through all the features and programs much easier. The LCD is very easy to read and very big compared to other calculators I've used. It can do everything I need it to do, and more. The included USB link cable makes it easy to upload new software and updates to the calculator as well. I easily upgraded the OS on mine from 2.07 to 2.08 without a hitch. 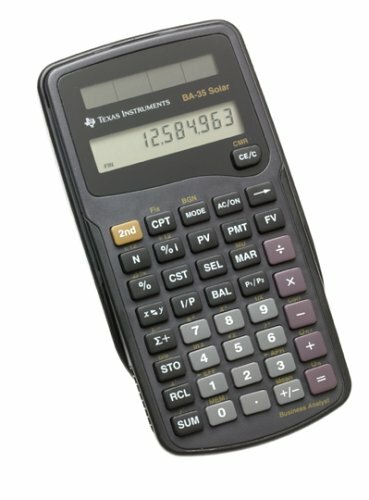 After getting this calculator, I would highly suggest you take a look over at TI's website and look for updates and add-ons. There is a lot to explore with these high-end TI calculators, and the Voyage 200 is just another great milestone in the TI line. Do you really need QWERTY? I've had the pleasure of using a TI-89 for a couple of years now, and from what I understand, if all you need is something to do your math courses for you, the Voyage 200 just doesn't deliver enough extra functionality to be worth the extra expense. 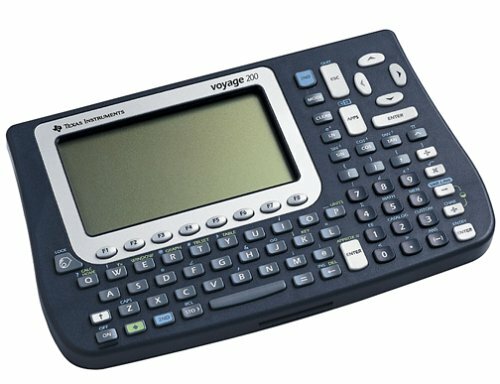 The operating system (yes, including the icon desktop and the advanced math features) on the Voyage 200 is the exact same as the OS available for the TI-89 via free download from TI's website. I think you're just paying for the bigger screen and keyboard. It's just too bulky. As for HP, well they've re-entered the calculator business; the HP 49G+ will be available by the end of September, based on a processor more than 4 times faster than the original HP 49G. Add to that a standard USB interface (Just like the one you use to plug in your digital camera) and a built-in SD card slot, it'll be hard to beat for memory upgradability. And I hear they'll be re-introducing the equation library. For those of you who don't know, the equation library brought together a bunch of formulas from economics, physics, engineering, etc. and made them available through a menu system -- instant crib notes! Can't wait to see a final production model. The voyage 200 is the finest calculator that I have ever had. Its performance is remarkable and it is a user-friendly product. You do not have to remember in which button is the function that you need, or deal with buttons that have impressed three or more function in different colors. Just type the function and that is it. That is simple, is not it? It is also outstanding the main menu and its easy navigation. You can customize it by adding software applications from the texas instruments web page. The "Computer Algebra" application can solve equations, integrals and much more. "Organizer" mades a nice calendar to schedule activities, classes, and keep track of the important business of you life. "Notefolio" and "Cell sheet" are applications that work as interface for text and data between calculator and computer. The operative system can be downloaded to the calculator via USB cable with out problems. In conclusion, I believe that is a great product. Just be careful, so many features are not allowed in most of the standardized test and courses. I got excited with TI when I learned they bought out the Derive Program, one of the fastest and easiest to use algebra systems ever written. They use the Derive math program in the TI-89, 92+, and now Voyager 200. (stupid name). This little calc does almost everything, and quickly. For almost all high school and college students, they will not need another. Forget the HP product line. Use this one. The actual calculator itself is stunningly powerful. It is faster than the TI-92, the full keyboard makes it easier to work with than the TI-89, and the ability to solve, factor, work with imaginary numbers, give exact answers, as well as do all of these things symbolically, plus the amazing applications included (a version of Geometer's sketchpad! ), make this the best calculator made by TI. Just beware that some standardized tests and some teachers will not let you use this calculator. The biggest drawback is the documentation that is supposed to help you utilize the power of this calculator. There really isn't any. There's a short manual that's included in the box, but it only gives you the broad overview of how to put the batteries in and how to turn it on and off. To find any information on how to, say, type something in that you want to factor, you have to load up the cd-rom, and hunt around on that thing to find the information you want. It's a huge hassle - if I'm at class, or work and want to be able to use some function, I have to wait to figure it out until I can get home and load up the cd-rom, find the right page, etc....not to mention that the documentation on the CD-rom isn't that helpful either. There's lots of discussion of stuff, but it is very hard to understand. Comes with 30 pre-loaded Apps and supports all TI-83 Apps. The kickstand slide case is great for desktop work. 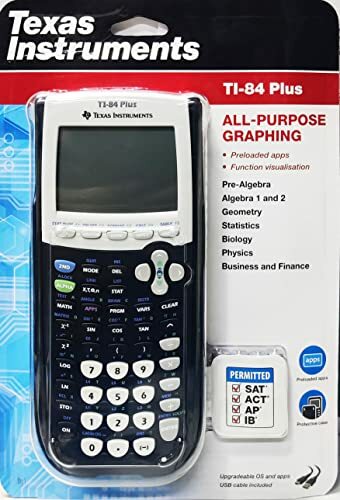 The TI-84 Plus Silver Edition is powered by four AAA alkaline batteries (not included) and one silver oxide battery (included) for backup, with an automatic shutoff to save energy. It also comes with a hard kickstand slide case and is supported by a one-year limited warranty. Optional color faceplates add flare. This calculator is great! If you download some of its applications, it can help you with almost all subjects in high school and some courses in college. You can share information with other calculators and recieve application information. It not only helps you with math courses, but with science and other courses. It's helping me, and it could help you too. One of the best Texas Instruments Calculators. Excellent for secondary studies. Great design. A lot of programs ( download on : http://www.ti-bank.fr.st ). Texas Instruments has upgraded the TI- 83 plus making it even more efficent and powerful then it was before. They have included many useful programs, that consumers had to pay for with the TI-83 plus. Also the kickstand cover makes it a lot easier for lab functions. 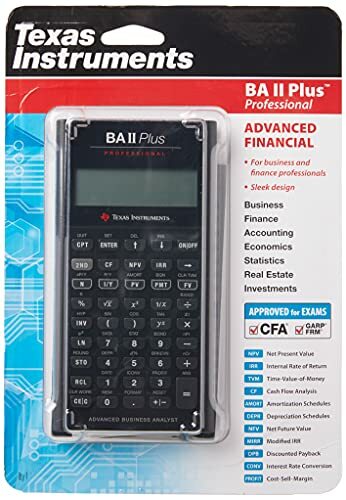 Based on the enormously popular (well, in financial circles) BA II Plus Advanced Financial Calculator, the BA II Plus Professional adds functions for Net Future Value (NFV), Modified Internal Rate of Return (MIRR), Modified Duration, Payback, and Discount Payback. Aesthetic touch-ups include a brushed metal exterior, easier to read display, a more comfortable "firm-touch" keypad, and no-slide rubber feet. Though it takes a little effort to master the collection of financial worksheets available on the BA II Plus Professional, you'll be glad you invested the time and money in this fine financial calculator. It operates in standard calculator and worksheet modes. The standard mode lets you perform common math as well as operations involving the time value of money--that is, applications such as mortgages or annuities in which payments are equal and evenly spaced. You can also perform trigonometric functions in standard mode. The more hard-core worksheet mode includes tables for amortization, bond, depreciation, and compound interest. If you're not familiar with such calculations, the very helpful user's manual will guide you through the process. All previous worksheet values are stored in memory, so you don't have to retype all the bond maturity or cash flow analysis figures. The average user who wants to calculate a basic loan payment will be more comfortable working in the standard calculator mode. You can learn to calculate basic interest and payment periods within minutes, and more advanced features are available for those who require heavy-duty financial computing. We're definitely taking this along with us the next time we shop for a house. Though it takes a little effort to master the collection of financial worksheets available on the Texas Instruments BA II Plus, you'll be glad you invested the time and money in this fine financial calculator. The BA II Plus operates in standard calculator and worksheet modes. The standard mode lets you perform common math as well as operations involving the time value of money--that is, applications such as mortgages or annuities in which payments are equal and evenly spaced. You can also perform trigonometric functions in standard mode. The average user who wants to calculate a basic loan payment will be more comfortable working in the standard calculator mode. We were using the BA II Plus tools for calculating basic interest and payment periods within minutes. Still, it's good to know that the more advanced features are available for those who require heavy-duty financial computing. Of the business/finance calculators out there today, I feel the BA II Plus is the has the best value. It has it all: TMV (Time-Value-of-Money), Random Numbers, Percent Changes, Depreciation INCLUDING declining balance with crossover to straight line (very useful for taxes), profit analysis, and bonds (just to name a few features of this wonder). I first bought this calculator in 1990 and enjoyed its use ever since. I just purchased the "new" BA II Plus, with sturdier keys. The only thing the BA II Plus is missing is a "solver", but saving $60, I feel, is a good trade off, since most finance problems can be solved using the TMV keys. So to business/accounting/finance students, if NOT the TI-83 (Plus/SE), then get this one! This BA II Plus is my third BA calculator in 14 years and my second BA II Plus. They are an awsome value for the money, costing only a third of the HP 12C and can be used with little training right away by anyone, which is absolutely NOT the case for the HP financial calcualtors using reverse polish input (it has that name for a reason and certainly feels "reverse" to me too). The BA II Plus is definitly more intuitive and easier to learn for the general layman user than the reverse polish input HP calculators. The BA II is loaded with functions to calculate anything a personal household or some small business analyst will want to do. The reason I cannot give this calculator a "5" is the fact that TI has cheapened it up quite a bit over time. My first BA in 1990 was by far the best built and lasted the longest. I exchanged it for the BA II in 1997 only because the letters wore off the buttons. The calculator in all aspects has become more flimsy with each new revision. So with intensive daily use, figure it will last about two to four years. After that time the buttons start to malfunction and it is time for a new one. Even my previous BA II Plus from 1997 was better in quality than this one. It had a tilted display for better readability, rubber stoppers on the bottom for working one-handed on slick surfaces and a small battery door. All of these features of the older model are not installed in this newest model. This newest version is also again lighter than the old one. 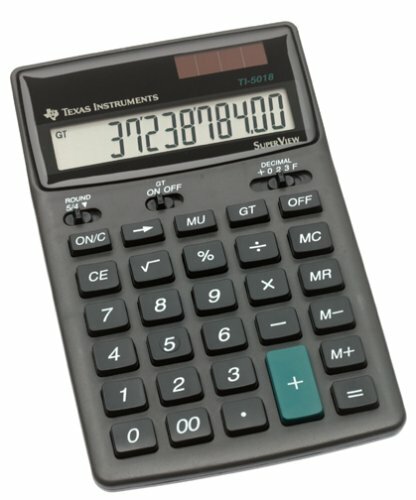 I would pay subsantially more if TI would make this calculator in a better (metal!) housing with better buttons and more longevity, but price on these items obviously sells first and foremost in our society. Another issue I have with all BA II Plus calculators (the older one too) is the fact that the display is apparently supposed to be read from a 45 degree angle lookin from the bottom of the calculator. If you look straight down on the display, the numbers almost vanish. The contrast of the LCD display is in general not the best. It's annoying and I have never figured out why TI designed it that way. Don't be worried about this "quality issue" too much since with occasional use this calculator will last forever. Don't be distracted by some of the reveiwers here giving the BA II Plus a bad review. It looks to me they have been individuals using the HP 12C or similar reverse polish input HP calculators for a long time and can't hack the TI BA II Plus. The HP financial series and the TI BA II are very different beasts from a user interface and people used to the HP will not (or never) warm up to the BA II Plus easily. Besides, I learned for our company's finance dept. (all HP users) that HP 12C users are quite the snobs about their "classic" financial calculators. The BA II Plus calculator is definitly worth every penny it costs and will do more than the average consumer will need to do with it. It is especially recommended for personal households or individuals who want to calculate loans, mortgages, interst spendings and savings annuities for personal financial planning. Even if you have never held a financial calculator in your hands before, you will calculate amortizations, loans, savings annuities, interest cost and any other so called "Time-Value" calculation easily and within minutes. The manual is easy to read and well organized for the layman to get going right away. Bottom line: this calculator is geared towards the student and personal household user. There is no other financial calculator anywhere on the market today that will provide you with this amount of functionality and utility for this low price. PERIOD. I use this as a Loan Consultant...and its great. The reviewer who says it give the wrong numbers, needs to 'reset' the calculator. But after a while the calculator does 'die' like any other electronic product and needs to be replaced but i think they can last for a year or so before needing to do so. Its so fustrating, you type the same numbers in from examples you get different answers. Is this machine or a joke, I taught of giving this machine a second chance I bought another Caculator even that turned to be junk, wrong calculations.... TI what a llooser. If I use it for my CFA exam i am sure I will fail. Bought this calculator a few months ago and it has already paid for itself many times over. I also own the HP12C and the 19B for a number of years (as well as other TI calcs) but prefer the BA II for high pressure situations i.e. CFA exam and purchasing any item with financing. Was recently at an auto dealership helping my girlfriend buy a car and saved lots of $ and frustration by having this little jewel along. The finance mgr started quoting some strange monthly pmts and I was able to sit him down with the BA II and show him that his numbers made no sense based on our agreed purchase price. After a few rounds of this he gave up the tricks and started dealing straight. Yes I could have probably done the same thing with the 12c but in a situation with real $ at stake I reverted to thinking in Algebraic io RPN: Its very easy to get confused with several salespeople pressuring you to sign on the dotted line. While the 12C will always be a classic compared to the BA I appreciate the BAs straightforward design. Perhaps if we'd had this calculator in high school we would have done much better in trigonometry. The Texas Instruments TI-83 is an ideal unit for any math student, combining powerful features for graphing and statistical analysis. The LCD screen displays 16 characters over 8 lines. Though the TI-83's keyboard layout might seem daunting to those who've never laid eyes on a graphic calculator before, the helpful, if intimidatingly thick, manual will get you up and running quickly. 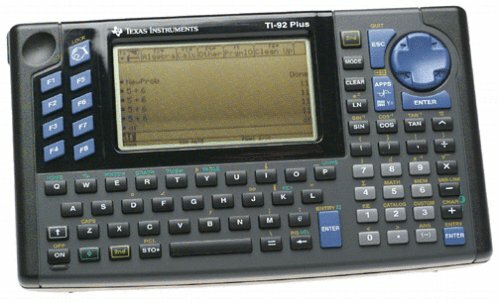 The TI-83 includes function, parametric and polar, and sequence plot modes. You can store, graph, and analyze up to 10 functions, 6 parametric and polar functions, and 3 sequence functions. The TI-83's Draw operations allow you to annotate graphs. Along with the advanced math and science features, the TI-83 also includes such financial functions as cash flow, amortization, and time value of money. Why should I get an 83? Why would I want a TI 83 you may ask? What about the 89? It's a higher model, and has more buttons! Yes, that's exactly it, it has more buttons, and way to many features you won't use. I have a Ti 83+ (More memory than the origional, but same everything else) and it is great! It has built in Financial Apps, which is a nice addition (and helpful!) compared to the 82 (which it is also compatible with!). But the 89? Even the 85? They take greater than calculus students to even need/use those functions, and they are a much harder to learn calculator. The Calculus teacher at our school says that the 83 will get you all through calculus and most likely beyond college. My calculator, which is really easy to learn, came in handy the first day in Geometry. We had to figure an area of a wierd shape and we only had the co-ordinates, i punched them in, and POW, found the area. If you do get this calculator, a TI-Graph Link is a must, this allows you to download software and updates from TIs website, some software could almost be considered cheating, while others can be games for fun. Unless you want to spend $200 for a TI-92+ (not even allowed by most teachers, it's so powerful), this is THE calculator for you! I'm in College Alegbra this semester and only starting to learn all the wonderful things that the TI-83 can do for you. With the TI-83 I feel so much more confident and it really shows in that my grades do improve. (It helps when you know the equations to do the problems with. ;-)) I would definitely recommend this graphing calculator to anyone who needs it in college or in high school. It's invaluable. It's also good for those days when you simply can't study and need something to occupy your time with. Hint: Use the Program feature. In the past, I used it to go on trips with. Talk about a dual-purpose gameboy! I hope you enjoy your TI-83 as much as I did... er, do. I'm not giving it up that easy. I first used this calculator in high school. I found it very useful in solving just about all types of mathematical problems. I've used it all throughout college and graduate school. It is very easy to use. It comes with a thick instructions book (very helpfull). Batteries last a very long time. I would also recommend the TI 83 PLUS calculator. This Calculator is the best there is cause you can do Arithemitics, graph, Angles, Geometry,.......(I could go on forever, so I stopped.) You can even play games on it!!!!! The included kickstand slide case is great for desktop work. The TI-84 Plus is powered by four AAA alkaline batteries (not included) and one silver oxide battery (included) for backup, with an automatic shutoff to save energy. It also comes with a hard kickstand slide case and is supported by a one-year limited warranty. The most exciting bonus of the Silver Edition is TI-Graph Link, which lets you connect the calculator to a computer and download programs from Texas Instruments' Web site (http://education.ti.com) and from enthusiast sites like www.ticalc.org. There you'll find thousands of programs and games for TI graphing calculators, as well as a TI-83 Plus tutorial, electronic guidebook, programming support, and discussion groups. I own 3 TI graphing calculators, TI-83, 86, and 89. The TI-86 has to be the best. The interface is much cleaner than the 83, but less complicated than the 89. It is also an inhanced TI-85 and you can download the finance application the TI-83 has from TI's site with the use of a TI-Graph Link, available at a Service Merchandise, Staples, or for much cheaper. One thing I really enjoy about the calculator is it has a multi-variable numeric solver to solve equations. Other features include matrixes, vectors, conversions (like Celsius to F, meters to feet, along with about 100 more), simultanious equations, and programming in the easier Basic or the more difficult Assembly. It has a roomy 128K of RAM, 96K user accessible, which I think is plenty for the everyday user (except for one who downloads plenty of advanced gameboy-like games, which there are). You can graph in function, polar, parametric, or with Differential Equations. You can work on a regular (decimal), binary, octal, or hex number base, and can type messages to store in variables for later retrieval or transmission to another calc with the included link cable (will NOT connect to computer, just other calculators). Of course, it has all the basic functions of all calculators :) This calculator is definitely worth buying I think for any age. I purchased my TI-86 Graphing Calculator about halfway through my precalculus course during sophomore year of high school, and it has served me well all the way through getting a 5 on the AP Calculus BC test. My high school normally gives out 85's for students to use during the year, but I found that the Table function makes the 86 a much more valuable tool than the 85. Using that table enabled me to get my work done faster and more accurately than other students in the class that used the school-loaned 85. Overall, I'd say getting an 86 is a good investment for math levels, until you reach higher level calculus, when it may be in your best interests to invest in a TI-89. I had used a TI-83 for Precalc, but really needed something a little more powerful for Calculus, so I bought an 86. One of my friends has an 89, but many tests that allow graphing calculators still don't allow a TI-89 because they have "algebraic manipulation" capabilities, plus the 86 is cheaper, so I went with that. I have not been disappointed. It has a much cleaner interface than the 83, and the 83's only real advantage, a strong financial and statistics package, can be downloaded to the 86 as an addon. Be warned though if you do that, the Graph Link cable (to the computer) is not cheap. It's a great calculator with a lot of good features. Those looking for more features can easily customize it by programming it, a pretty straightforward process. I bought this around mid 1997 and I'm still using it to this day. I actually bought a TI-89 around soph year of college just to complement the TI-86. You see, the TI-86 is a SOLID engineering calculator. It's got fast units conversions, an intuitive and FAST menu system BUT it lacks "pretty print", handling of units for math (keeps the units throughout equations, calculators), and integration/differentiation with the variables in place (it doesn't just evaluate it). With the right software, the TI-89 is a very powerful math tool. I used the TI-89 primarily for theoretical math but came in handy for standardized tests as well. I would recommend getting both the TI-89 and TI-86 and start familiarizing yourself with both calculators before you start tackling tests. Check the rules and regs for calculators also - standardized tests should allow the use of the 86 and 89. Overall, the TI-86 is a solid math tool - notice I say TOOL because that's what it is. If you have no idea what you're doing in class, the TI-86 won't give you an A. My recommendation is to get both the TI-86 and TI-89. Just FYI, I'm still using the TI-86 at work. The buttons show some wear and I lost the first line of the LCD because I dropped it in college. Nonetheless it's still chugging along. Also, slap in four 750mAH NiMH batteries. You will NOT regret this because these calculators drain alkaline batteries in half a semester of intensive use. We didn't have cheap NiMH batteries back in the day - TI actually pushed the use of Rayovac Renewals (remember those rechargeable alkalines that only lasted 5 charges?) and our other choice was NiCd. Forget all that. Slap in four Energizer 750mAh NiMH batteries and you'll save yourself a LOT of money in the long run. That means more money for video games and other forms of entertainment in college. Need a calc for engineering work? Or require lots of fast unit conversions? It's menu system is extremely intuitive and easy to use. You can fire away units conversions and simple math w/o running into any problems. In Comparison, the TI-89 is more powerful, has a better CPU, and has more memory - but the TI-89 shines in its simplicity. It's quite powerful in the right hands and is more useful in the workplace. The TI-89 is more suited towards the classroom environment. I bought one of the very first TI-86's in 1997 and used it throughout high school, college, and a few graduate courses. I still carry it around at work because it's been a big help. I dropped it once and lost the first 2 lines on the LCD, but it's still chugging along fine. This advanced graphing calculator is packed with more features than you might know how to use. The TI-89 lets you perform the expected functions of an advanced calculator--basic math, algebra, calculus, graphs, matrices, and statistical functions. However, you can also do cool stuff like create animations as well as graph 3-D rotations and plot contours. The manual that ships with the TI-89 is a killer, presenting over 500 pages of clear, concise definitions, function explanations, examples, drawings, and appendices. It's divided into well-organized chapters that cover all the major features of the calculator. Graphing functions include basic function graphing, parametric graphing, polar graphing, sequence graphing, 3-D graphing, and differential-equation graphing. Additionally, the TI-89 includes symbolic manipulation, constants and measurement units, statistics and data plots, a numeric solver, a text editor, programming capabilities, tables, a split-screen function, variable management, and the ability to link to other calculators or a computer. The large, color-coded keys are easy to read and find--a nice touch on such a feature-heavy calculator. An improvement over earlier Texas Instruments graphing calculators is the addition of one-touch X, Y, and Z variable keys. The large LCD screen is also adjustable to your environment; we were able to view it clearly in a variety of lighting. The TI-89 comes with an attached, hard slide cover that protects it from getting knocked around in a backpack. 4) algebra support: x^3 + 42x^2 - 8x + 2.1 = 0 ... forget factoring by hand : x = -42.1907945554 of course! 7) Calculus capabilities: differentiate, integrate, find limits (and MORE) of functions you type in! 11) You CAN use them on SAT1, SAT2s, APs, and many other standardized tests. 11 reasons doesn't come close to how much I love this calculator! If you are or will be taking any of these classes I highly recommend the TI-89 : Calculus I, Calculus II, Statistics, Physics, Chemistry, ... and beyond! If you've ever used a TI-82, a TI-83, a TI-86, a TI-92, or a TI-89 :-), you'll be very fermiliar with the TI-89. Most commands are interchangable with the other TI graphing calculators. Since most classes use TI-82s or TI-83s, you can easily adapt the instructions of the teacher for use on the TI-89. The calculator is actually powered by the same processor as the Macintosh Plus/SE, so it is very fast when graphing, solving equasions, or playing games. The screen is sharp enough to hold several expressions and answers or display a smooth view of a curve. Functions include the excellent CAS (try "solve(0=1x^2+2x+3,x)"), basic scientific math functions, programs (games), matricies (like a primitive spreadsheet), graphing, statistics, and many other functions. Do your calculus and model scenarios too! This is my first graphic calculator, and had no idea what to expect. My only comparison is against desktop computer software like Mathematica or MATLAB (which run US$1,000 or more). I started with simple matrix algebra, saving me hours of checking my arithmetic and remembering Gauss-Jordan rules. I moved onto statistics and probability, with a finance point of view, then tried a few partial differential equations. Impressive so far, I was very happy to see that a few book publishers have printed short textbooks on math topics using the TI-89 (e.g. calculus, linear algebra, statistics, etc). Being a long-time computer programmer, and working in the field of finance, I wanted to give this calculator a run for its money. Buying an extra device that allows me to write programs on my desktop computer and copy them to the calculator, I was writing formulas that did equity option pricing (no small task, considering the calculus involved) in no time. My formulas work as if TI had installed it with the calculator itself. Later, I was plotting 3-D scenarios of the option valuations, requiring a little more time than desktop software to plot, but still exemplary for a hand-held device. The numeric solver did a wonderful job finding solutions to functions I had long given up on without the use of a computer. Overall, this calculator exceeds my inital expectations, and is a valuable aid to learning mathematics in ways I never imagined. Perhaps the ultimate compliment is that after agonizing over which one of these super handhelds to buy I was pleased to discover that with the TI-89 I made a very good choice. I have already become fairly proficient with it and I'm a non-mathematical person. The supplied manual walks you through each environment with examples that orient you quickly. I was able to use it for what I wanted it for suprisingly quickly. Before long you begin setting it up and using it with little if any reference to the help. This is a great calculator that you really have to play around and get used to. The computer algebra system is great, but as others have said, do not use it to do your work for you. Use it to check it! I just graduated from high school and realized that even though I took AP Calculus, I need a lot of help with math. I depended too much on it, and now I will be studying a lot, as I will major in engineering. Use it to check your work, not do it for you. With more power than most of us had in our PCs less than 20 years ago, the TI-92 Plus graphing calculator is the machine of choice for students and engineers both at the desk and on the go. It comes with about 800 KB of memory and software for working through algebra and other mathematic problems quickly and easily. With the TI-Graph Link accessory (not included), you can connect to computers and even download software upgrades. Solve linear and nonlinear equations, use the Pretty Print feature to see equations in textbook format, and work with 3-D surface graphs in real time. The QWERTY keyboard is rugged and easy to use, the 128 x 240 screen is easy on the eyes, and the calculator comes with a durable shell to protect its face when you're traveling or in the field. Additional accessories can turn the TI-92 into a mobile data-collection station, but it's just as useful at home. As good as a calculator gets!! Being a math and computer science major, I thought a more powerful calculator would probably come in handy. Simply put, this calculator can perform about any mathmatical function that I've wanted to use it for. Furthermore, when I find a function missing that I need, this calculator has sufficient memory and an easy-to-learn programming system to implement your own functions or programs. The TI 92 can perform mundane calculations that would be helpful in high school classes, but it is really intended to be used for the more complex ideas that upper level college courses make a student work with. It should be noted as well that some professors will not allow the use of this calculator on exams and the SAT and some other standardized tests definitely will not allow it. In my personal experience, I took a Numerical Methods math course which actually referred to my calculator several times and presented me with code on how to implement the complex equations in the TI 92. Furthermore, my favorite feature of this calculator is the "Pretty Print" function. When this feature is on, the calculator will print most math structures just as they would look in a math book. (derivatives and integrals are a simple example of this feature.) One negative aspect should be pointed out as well, because of the sheer quantity of features on this calculator, it can be difficult to learn how to use it quickly. The instruction manual is huge, but it does feature many helpful examples if one takes the time to read through it. Finally, the addition of the "QWERTY" keyboard is very useful and most people will probably wonder how they ever used a graphing calculator without such a keyboard. In conclusion, this calculator is powerful, but it can be overwhelming at first. It handles simple problems and some of the hardest mathmatical functions possible with ease. Therefore, in my opinion, this calculator is a perfect fit for a math major in college or a person in a mathmatically related profession. Others, would probably be better off to save the extra money and get the TI 89. I've got a lot of scientific calculators but they are too slow(HP) or don't have too many possibilities(CASIO). SO I decided to buy the Ti 92 PLUS which has got a very big anti-glare black screen (128*240), a qwerty keyboard just like a computer!, factorisation, taylor, solve equations, diferential equation graphing,etc.. You don't have like other calculators only an approximate result, you've got a SYMBOLIC EXACT result! you have more than 800kb of memory to uograde your calculator from Internet and download applications(you need the ti-graph link $16.5) I try the mathlab student version and this calculator is best, you have pretty print just like it s written in books,a range from E-999 to E+999 and a 12 MHz processor. It does EASILY 2d, 3d and much more plots in seconds because it has got very simple menus. You also can divise the screen in two parts. It s great,only buy it you won't be disappointed. 1) Unique Qwerty keyboard: Immensely useful. 2) Largest screen on a calculator. 3) Very powerful and sophisticated Computer Algebra System. 4) Ability to add programs and features. 5) Makes Casio/Sharp look pathetic. 6) Completely blows the competition away. Make sure it is a Plus! This is a great calculator, but because Amazon does not have a category for old ti-92's, people often sell these as PLUS models. The only major differences are things Linear Algebra, upgradable firmware, and extra memory. You will want the extra memory if you write custom programs. Before buying one of these, email the seller and confirm it is a plus model, unless you dont care. Enjoy! The BA-35 from Texas Instruments is an entry-level financial calculator with features that small-business users will likely find useful, but it may not have the power students need to easily solve complex classroom problems. The calculator is powered by a solar cell--there is no battery backup--and comes with a hard plastic cover that can fit on the back of the calculator when it is being used. The BA-35 is extremely thin, and although the button layout looks cluttered at first glance we rarely mis-keyed entries. The buttons are also sensitive enough that little force is required to get them to register input, yet not so mushy that simply brushing them causes mistakes. Unlike many of the calculators in this price range we've tested, the BA-35 actually comes with some useful documentation. A quick reference card with examples of important calculations like converting annual percentage rates to annual effective rates and entering statistical values is placed inside the calculator cover so you can always keep it handy. A small but surprisingly thorough pamphlet lays out the rest of the calculator's features, covering topics like compound interest and annuity calculations, and providing many illustrated examples for common procedures like computing mortgage payments or determining loan eligibility. I bought this calculator for my first finance class 12 years ago. While it does have some limitations such as not being able to work with uneven cash flows, it is still the finance calculator I grab when I want to figure something out in a hurry (I also own an HP 19BII and TI BAII Plus). The BAII Plus does do much more for only a few more dollars, but it is not as quick for simple finance calculations. Further, the BA 35 is still in perfect shape after much use, while the BAII Plus' display has begun malfunctioning and some of the digits do not show up at all now. The BA 35 is a great calculator, but ultimately, I would suggest the HP 17BII (which I have also used extensively, but do not own) if money is not a consideration. The Texas Instraments BA-35 is a calculator who's time has passed. It does allow the practiced user to ammoritize loans or value annuities with amazing speed, but today there are better options out there. Deficiencies: 1. Lack of algebraic logic, it just does the calculations in the order you enter them. 2. inconvenient memory- it takes several keystrokes to store or retreive from the memory (but you can use the 5 financial registers as memories). 3. wears out too easily- I have had the displays on 3-4 of these calculators go whacky on me. This is not a problem I have had with other TI models. There are lots of cool tricks you can do with this calculator, but even the Society of Actuaries has moved on to allow more capable models. Virtually everyone should own a business calculator. Everyone who borrows money to finance a car or a house should own a business calculator. It can quickly compute in advance how much your monthly payments will be once you insert the amount borrowed, the yearly interest rate, and the number of payments. Or,if you prefer, you can insert the amount of the monthly payment you can afford and calculate the amount you can afford to borrow or the number of payments over which you will need to spread out the loan. You will also be able to protect yourself against accidental or deliberate errors made by the lender. For the purposes outlined above, the Texas Instruments BA35 is a very good buy at a bargain price. If you need a more sophisticated business calculator I recommend the Texas Instruments BA II Plus. Anyone who purchases a BA-35, uses it and then tries out the TI BA II Plus for about 12 bucks more is going to suffer a bad case of buyer's remorse. The 35 is woefully underpowered in financial calculation capability compared to the next higher level of financial calculators. The reason I have one is that is is one of the required calculators for the actuarial exams (for reasons I have yet to figure out). My overall recommendation is -- if you want a financial calculator that has actual capability, spring for either the HP12c or the TI BA II Plus. I have a TI BA-35 that I purchased about 15 years ago and it still works. It has just the basic statistics functions (found on almost all scientific calculators) and compund interest/ time-of-money calculations, but that's all a small business generally needs. The TI-73 is a great compromise for those in the market for a full-featured scientific calculator who don't want to spend a lot of money. The only real problem is that the superior TI-83+ is now available for about the same price, but if you have your mind set on this model, it certainly won't disappoint. If you are in grades 4-8 this is a wonderful calculator to explore and formalize your understanding of the math concepts. It has many nice features. However if you need a graphing calculator that you will use through high school use the TI-83 Plus Silver Edition. If you are purchasing during your high school years you may want to consider even starting with a higher caliber calculator than this as a TI-83 Plus will not take you through very many college level math courses until you need something more substantial in available functions. Well....this calculator has many features for middle school students, but really is it worth it ? If you're in middle school, then you probably won't need such an expensive calculator, because you really don't need to use a calculator to graph. If you are learning graphing, you might not be able to use it one the test. In my opinion, I would buy one of those cheaper plainly scientific calculators. They get the job done and they are cheaper. But, if you really want to get a graphing calculator, I would suggest the TI-83 plus. Right here on Amazon.com, it being sold at $86.99, CHEAPER than this one and with more functions!!!!!! The TI 73 is the best. At least in my opinion, it is the best for all the people in Middle School. If you are in Middle school at this moment and you need a graphing calculator for math or science, don't go out and spend alot of money on another kind of calculator. The TI 73 is fit for the job! I missed the current sale of this particular calculator so my only option was to go online. I found this one for a super low price and received it merely a few days later....in great condition. It does every function it was meant to do and is easy to use! Works great, very fast. Highly recommended! The USB link is easy to use, and is the link to buy if you've got USB ports. While you can't transfer files using TI-GRAPH LINK software and a USB link, you can still use TI-GRAPH LINK for ungrouping calculator data files and viewing or editing BASIC programs on your computer. Then you can transfer files using TI-Connect software, which is more user friendly anyway. Indispensable accessory for your TI Graphing Calculator! For now atleast, go with the black serial cable. Pros of the USB: This is alot simpler, and quicker to use, and the data transfer is faster when you use usb. Because it is USB, it does not work eith TI-Graphlink software. Don't get me wrong the Graphlink software isn't great, but it is much more powerful than TI Connect. Plus you can use both TI Connect and TI-Graphlink software with the serial cables. The graph link software is rather clunky, but much more reliable than ti connect. Designed with students of higher math in mind, the TI-85 is a scientific calculator that offers a wealth of features and functions that will take you smoothly from pre-algebra all the way through college calculus. Its data I/O port and unit-to-unit link (compatible with all TI-85 and TI-86 models) allow you to easily transfer your final graphs and equations among systems, while the 28K RAM and customizable menu keys provide quick access to necessary programming functions. As you advance through classes, simply reprogram the keys to keep up with your new textbook chapters. Functions are widely varied, and include the ability to solve for systems-of-equations, polynomial-root, or any variable in an equation. Graphing possibilities include parametric equations, polar equations, and solutions to differential equations. Statistical analysis runs the gamut from linear, logarithmic, exponential and power to quadratic polynomial, cubic polynomial, and quartic polynomial regressions. In addition, data is viewable as strings, pictures, or vectors. Simultaneous separate graph capability and 15 interactive zoom features are also included. The display is a generous eight lines long and 21 characters wide; this unit is powered by four AAA batteries, with a dependable long-life lithium ion providing memory backup. Texas Instruments includes a one-year warranty covering parts and service. I used a scientic calulator for years. I bought the TI-85 my Senior year of High School and even though I'm not yet in college (five years later) I'm still a nerd that likes to play on it. most of time I just use it for basic stuff I can still do with a new TI-30X I bought granted I can graph with it and I've been looking hard at TI-89 for no other reason than I can. (more than likely would be my next purchase if I did buy another one) the sad thing is resources for this calulator are limited seeing as it's been discontinued but you know it's still more powerful with it's computing power over my GF TI-83 plus. it just lacks the storage of memory. (1) Inverse of a Matrix (2) Solving Quadratic and higher order Equations. (3) Plotting the graph of Algebric Equations which help in finding out the Maxima and Minina..
TI - 85 Overall, a good graphing calculator. With a large number of features and a huge range of functions, the TI-85 is a graphing tool that is well worth its cost. It is fully programmable, using a BASIC-like programming language. Texas Instruments discontinued this line of calculators however, and though they may have had their own reasons, I know of at least two flaws with this particular calculator. The first is that there are some bugs in its programming, such as its inability to convert negative temperatures. The second and much more serious problem is that the screen is not reliable. Roughly half of these calculators have one or more lines or columns of pixels fail after a few years of use. As long as you aren't paying retail price, however, the $$$it might cost for a used TI-85 is more than worth it. Enjoy. I used this calculator of 2 college math classes: Beginning Algebra and Statistics. It is a good calculator. It did everything that I needed it to do. The TI-5018 is an ideal calculator to leave sitting on your desk, but its size makes handheld use a little awkward. It doesn't offer much in the way of features, but the ones it does have are extremely useful. For example, in our tests of the calculator, we performed a series of separate calculations, storing the results in memory each time we pressed the equals key. Pressing the grand total key then added and displayed the results of these separate calculations. A handy switch at the top of the calculator lets you turn the grand total feature off to perform calculations that won't be included in the grand total results. Two switches at the top of the calculator let you round decimals up or down and choose from several decimal display modes, including floating, fixed (0,2,3), and an add mode. Dedicated square root and percentage keys make these operations simple, and a backspace key corrects entry mistakes without having to clear the entire line. As we used the calculator, mistakes were rare, thanks to the large and responsive keys, and the few mistakes we made were easy to spot as they showed up on the big display. The display is angled slightly to make it easier to read when the calculator is sitting flat on a desk. That position also allows the solar cells that power the unit to soak up as much light as possible, although the included battery kicks in when room lighting dims.